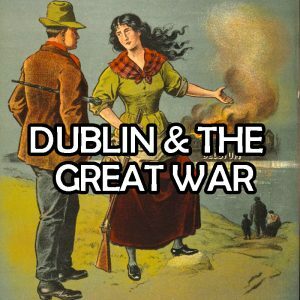 This is the third programme in the series about Dublin and the Great War. Ciaran Murray is joined by Jennifer Wellington and Tom Burke to discuss the Royal Dublin Fusiliers and how the Great War is remembered. Song’s from the era are provided by Luke Cheevers, Fergus Russell and Frank Nugent. all from An Góilín singer’s.